The Weet-Bix TRYathlon Foundation was established in 2007 by Sanitarium staff to give underprivileged and disadvantaged Kiwi kids the opportunity to take part in the Weet-Bix Kids TRYathlon, through subsidised entry or the donation of equipment such as a bicycle or helmet. 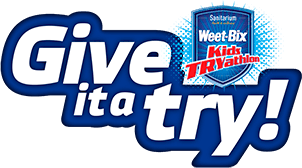 The Weet-Bix Kids TRYathlon enables them to have a long-lasting experience of achievement and success, ultimately assisting them to live happy, healthy lives and giving them the confidence to do and be anything they want. The Foundation accepts nominations on behalf of individuals and groups. 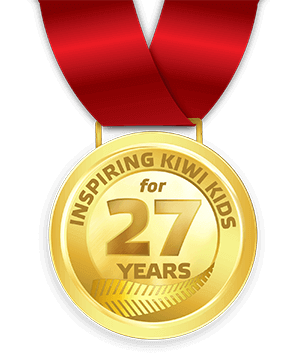 If you would like to nominate a deserving Kiwi kid or groups of children then please click on NOMINATE NOW below. Alternatively, if you would like to make a donation to the Foundation please click DONATE NOW below. Nominate a Kiwi kid today for the opportunity to receive a subsidised entry or the donation of equipment such as a bicycle or helmet. When receiving nominations for equipment donations, preference is given to groups who can demonstrate that the equipment will benefit groups of children for years to come. Applications are managed by Sanitarium and funding is awarded by the Weet-Bix TRYathlon Foundation Trustees. The Weet-Bix TRYathlon Foundation Trustees assess all nominations and make a decision to approve the nomination based on the personal circumstances of the nominated child or community group. We believe that every Kiwi kid has the right to feel like a winner and realise their potential. 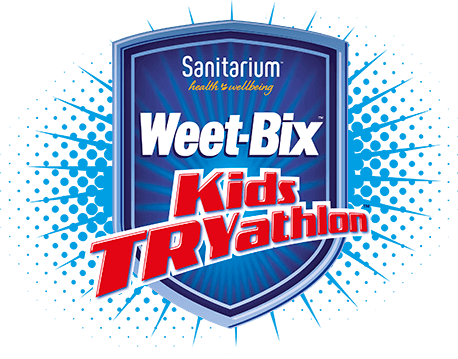 Since 2007 the mission of the Foundation has been to give more children the opportunity to enter the Sanitarium Weet-Bix Kids TRYathlon, to experience all the benefits of taking part, and truly shine. With your support, the Foundation funds equipment and subsidises entry for children that could do with extra support. The Weet-Bix TRYathlon Foundation has teamed up with Bike Barn to BIKE IT FORWARD and give Kiwi kids the chance to participate in the TRYathlon by providing them with their very own bike, all thanks to you! Many of us have bikes that our kids have outgrown, so why not donate those bikes and BIKE IT FORWARD? Each donated bike will be given an overhaul by Bike Barn mechanics, and then gifted to Kiwi kids identified by the Weet-Bix TRYathlon Foundation. Donated bikes need to be between 16” and 24 inches (wheel diameter), suitable for 7 to 12 year old children and of a reasonable condition. The Bike it Forward programme is only running in Auckland. Donations to the Bike it Forward programme will be accepted by Bike Barn and the Weet-Bix TRYathlon Foundation in Auckland only; between 1st November 2018 and 10th February 2019. For any child between the ages of 7 and 15. Groups with children between ages the ages of 7 and 15. The nominator must be outside of the nominated child’s immediate family. Who would you like to nominate for assistance? This will be used to contact your nominee if your application is successful. This will be used to contact you if your application is successful. Assistance with the cost of participant registration fees. Assistance with obtaining the equipment necessary to participate.